Highest quality marine grade stainless steel cable from 1mm diameter to 16mm diameter. 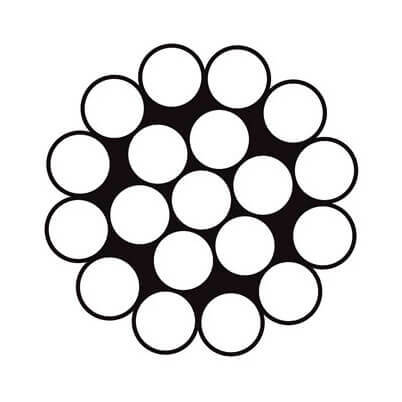 The 1x19 construction 316 grade stainless steel wire rope is stronger than other types of stainless steel cable and has less stretch. This also means it is non flexible. 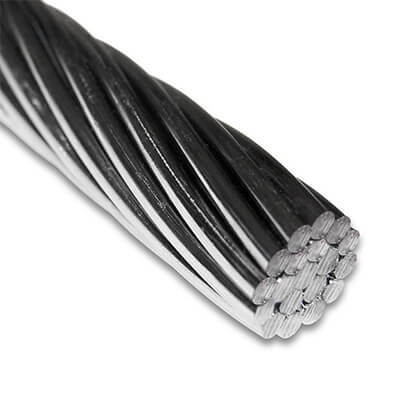 1x19 construction wire rope does not allow for kinks or bends. 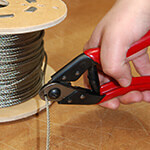 1x19 Stainless Steel Wire Rope - Demonstration of the characteristics of 1x19 stainless steel wire rope. Strong and non-flexible. Strong, flexible cable. I used it for resupporting heavy rose growth after the original trellise collapsed. Used for sea kayak skeg wire replacement. Works great. Great to be able to customise the length needed. I am using the product as an anti-pigeon device strung just above the joists of our car port roof. The wire did the job as hoped and to my positive surprise it was bendy enough to go around some corners without breaking. Good quality as described. Stiff enough to replace my kayak skeg cable. Not much to say. It's wire. 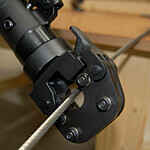 For me I should have used the 7x19 stranded cable for greater flexibility. The company advised this but I forgot to order accordingly!! 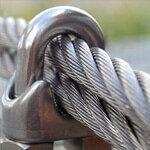 Excellent quality wire rope, good to work with. Great product, but being stainless may not be as flexible as you expect.